26.5R25 tire and 22.00/3.0-25 rim assembly. 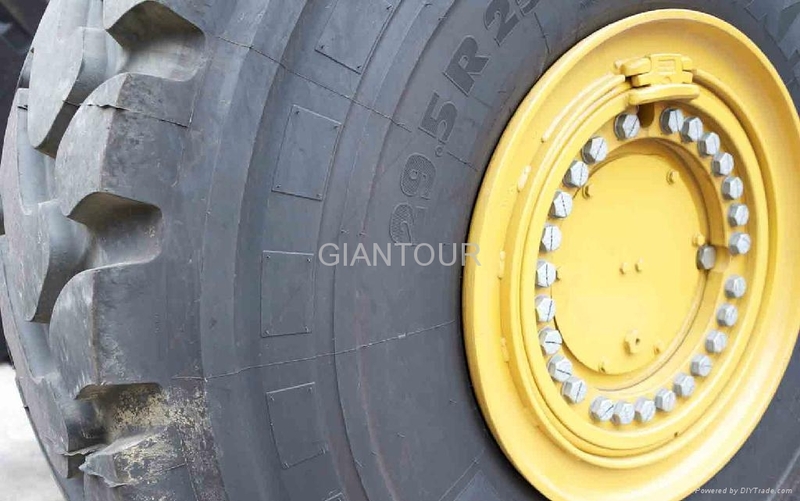 26.5-25 tire and 22.00/3.0-25 rim assembly. 27.00R49 tire and 19.50/4.0-49 rim assembly. 36.00-51 tire and 26.00/5.0-51 rim assembly. 36.00R51 tire and 26.00/5.0-51 rim assembly. 40.00-57 tire and 29.00/6.0-57 rim assembly. 40.00R57 tire and 29.00/6.0-57 rim assembly. etc.. more as you requested. Tire: Bias or radial as requested. Rim: 5pcs construction or 3pcs construction. Rim Material: forged steel ring. Delivery terms: FOB, CIF ,CNF.